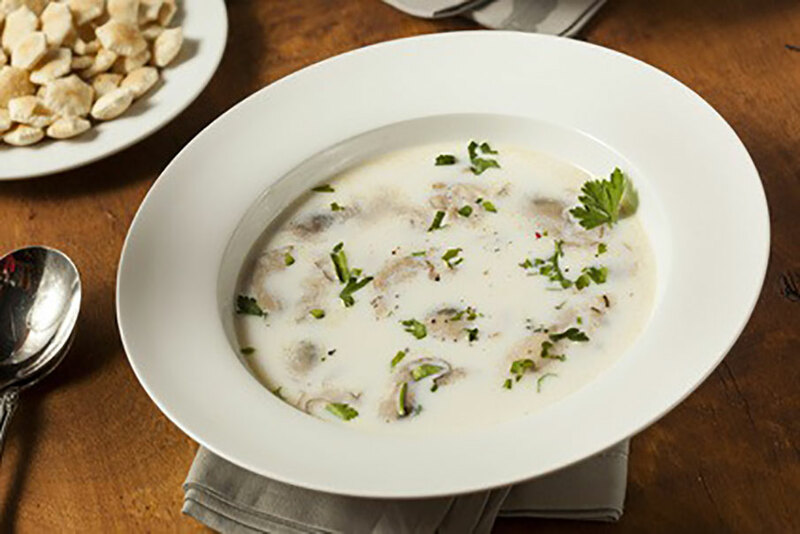 We always have oyster stew on Christmas Eve. It is our Christmas tradition. Serve with garlic toasts or oyster crackers. You may also add crispy bacon or potato to this stew. Melt butter in a skillet and sauté celery and onion until tender. Pour half-and-half into a dutch oven and add the butter, celery and onion mixture. Stir until almost to a boil and add the cleaned oysters. Oysters are cooked with the ends curl. Turn off the heat and it's ready to be served.